VMware made a number of changes to networking both in the vSphere4.1 release and vSphere5.x. VMware continue commitment to adding additional functionality to the Distributed vSwitch, but you maybe surprised to hear that there have been some minor improvements to the Standard vSwitch settings as well. VMware made a number of changes to networking both in the vSphere4.1 release and vSphere5.x. VMware continue commitment to adding additional functionality to the Distributed vSwitch, but you maybe surprised to hear that there have been some minor improvements to the Standard vSwitch settings as well. If you're studying for your VCP, make sure you revise the Security settings on Standard vSwitches, and those settings like “Notify Switches” and Failback. Additionally, you might want to know the difference between how Standard vSwitches handle traffic shaping compared to say how Distributed vSwitches work. Finally, as you probably don’t use them very often – bone up on your PVLAN knowledge, and how VMware integrates with them. Increasingly DvSwitches offer features that simply cannot be found on a Standard vSwitch, so if your an enterprize customer with “plus” licensing there are plenty of compelling reasons to use them. The number of ports has been increased to 1012 to 4088 – and yes, you still must do a reboot if you want to increase the default number of ports. Although you might attend the VMware Official Curriculum course called “Install and Configure” sadly, the vSphere5 version of this course now contains no information or instruction on Distributed vSwitches. However, the VCP exam can and does ask you questions on that subject. NetFlow- Allows for the monitoring of VM traffic. 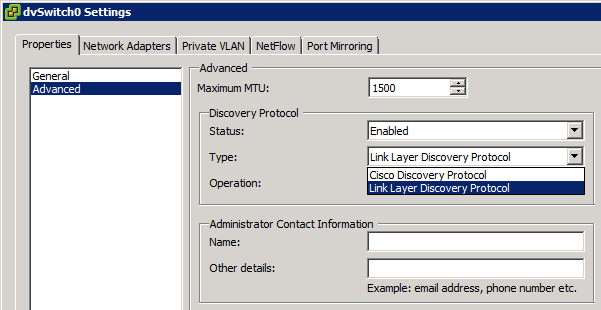 The system uses a “collector” service that you must specify as the destination for NetFlow data – which I guess is akin to how we setup syslog, SMNP and SNTP. Netflow can collect data covering network profiling, intrusion detection, network foresenics, and compliance. It’s capable of handling unidirectional traffic between VMs on different ESX hosts and between VMs on the same host. 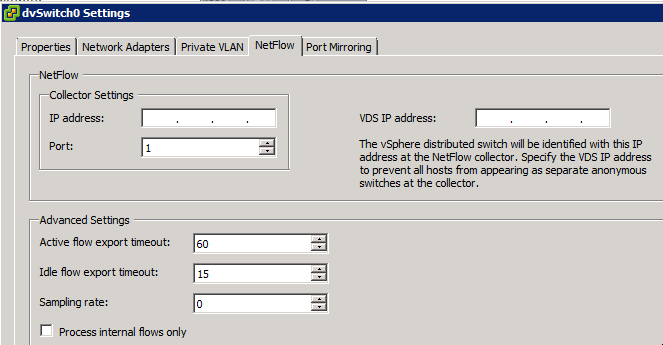 These settings are configured on the DvSwitch, and the feature is enabled/disabled on a per-Port Group basis. 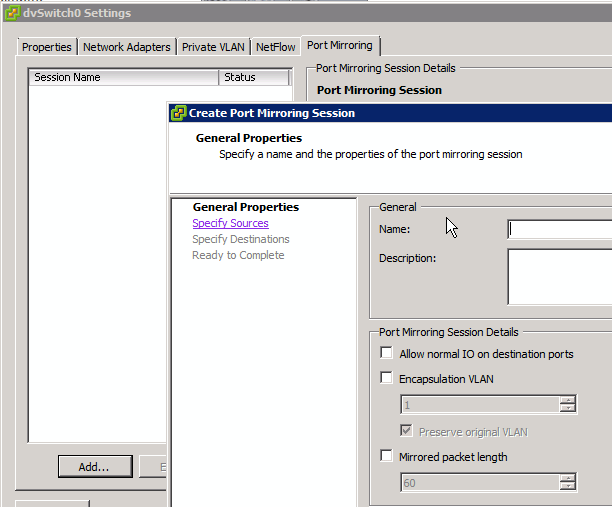 Port Mirroring- If the ability to duplicate packets on the source port to another port for network analysis purposes. Its primary use is for troubleshooting with network analysis appliances. It’s enabled on the properties of DvSwitch. The “Add” button allows you to specify the port source and destination ports – whether the traffic is ingress/egress. 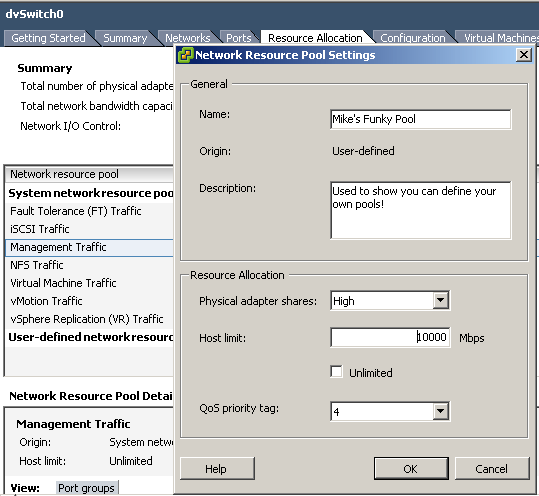 NIOC comes with “system” network resource pools for common traffic types. New to vSphere5 is the ability to define types of your own. It introduces support for 802.1p QoS Tagging that allows for priority “tags” to be applied to different types of traffic – the higher the priority value the better the QoS. For example Priority4 guarantees 100ms latency suitable for audio, whereas Priority5 guarantees 10ms latency suitable for video.